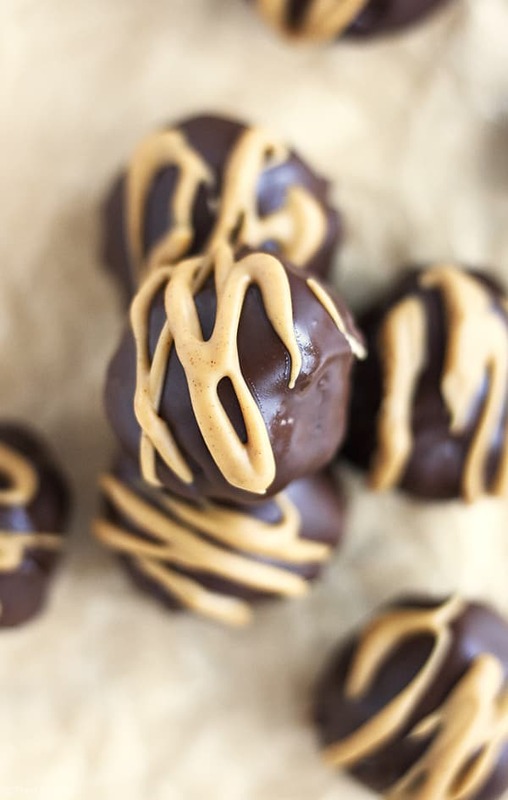 Warning: You will not be able to eat just one of the Monster (Edible) Cookie Dough Truffles. They really are that good! I know that “gift giving season” is technically over. But sometimes it’s nice to surprise your loved one’s with a little something special. We live in a world full of people who are obsessed with cookie dough. And really, who can resist sneaking spoonfuls of sweet and delicious cookie dough? I know I can’t and my daughters are relentless when they know it’s cookie-making time! They’re almost more excited about stealing cookie dough than they are about the actual finished cookies (almost). And with the obvious concern about raw eggs and salmonella, the creation of eggless “edible” cookie dough was pretty much a stroke of genius from whoever came up with that! I have edible in quotes because I’ve always been of the belief that a teeny bit raw cookie dough won’t kill you. But I can see how we would all take precautions if we were going to eat large amount of the stuff. 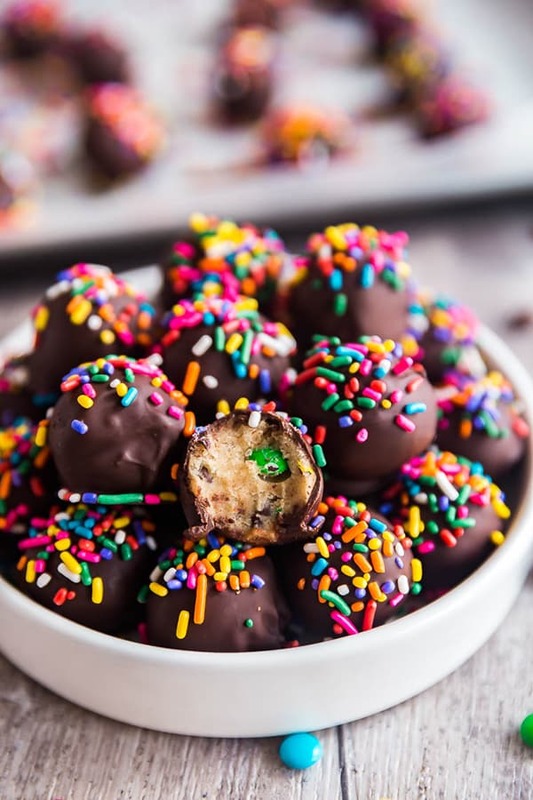 And after just a taste, you will want to eat large amounts of these cookie dough bites. And of course, I couldn’t just stop at regular no bake cookie dough, delicious though it may be. Oh no, I had to take it an extra step and make truffles inspired by Monster Cookies. For those unfamiliar with a traditional Monster cookie recipe, they are cookies that not only contain chocolate chips, but also peanut butter, M&M’s and often oatmeal. 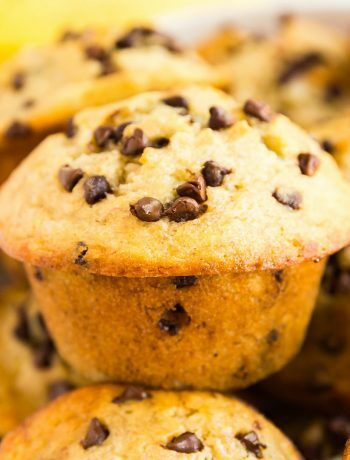 I seriously love all of these things and was thrilled to include them with the exception of the oatmeal because I figured that raw oats might not be the most desirable texture to bite into (although if raw oats are your thing, by all means, throw some in. You do you.). These are seriously so easy to throw together. 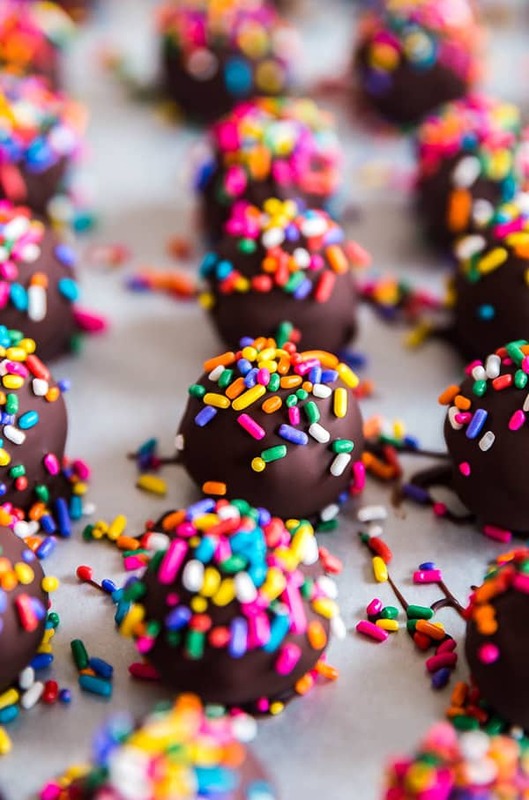 You mix a simple dough, roll it into balls and pop ’em onto a pan and into the in the freezer for 30 minutes before rolling them in melted chocolate and topping them with sprinkles. Though sprinkles aren’t traditionally included in a Monster Cookies recipe, they were much too fun not to add. 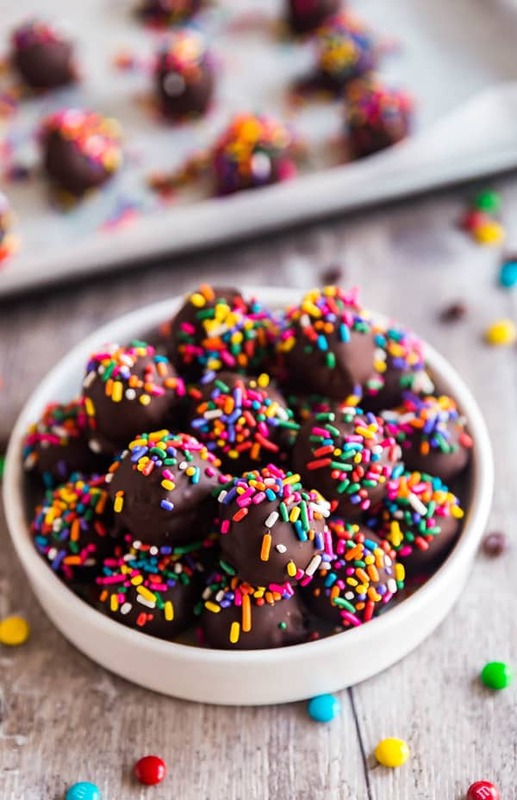 These are super kid-friendly and they make an excellent gift! 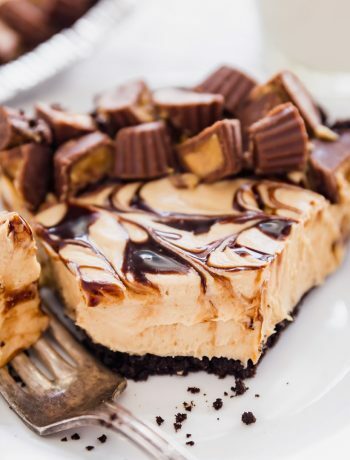 In a large bowl or stand mixer bowl, cream together the stick of butter, granulated sugar, brown sugar, vanilla and peanut butter until well combined. Be sure to scrape down the sides. Add the flour and salt and mix well until a dough forms. 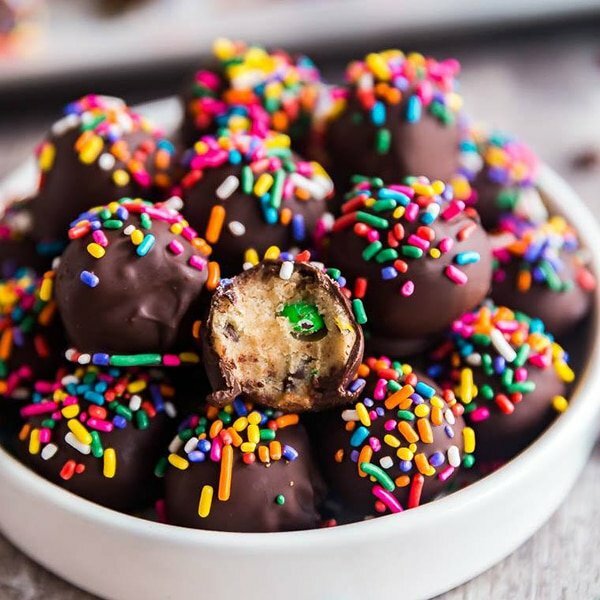 Mix in the mini chocolate chips and mini M&M's until everything is well combined. 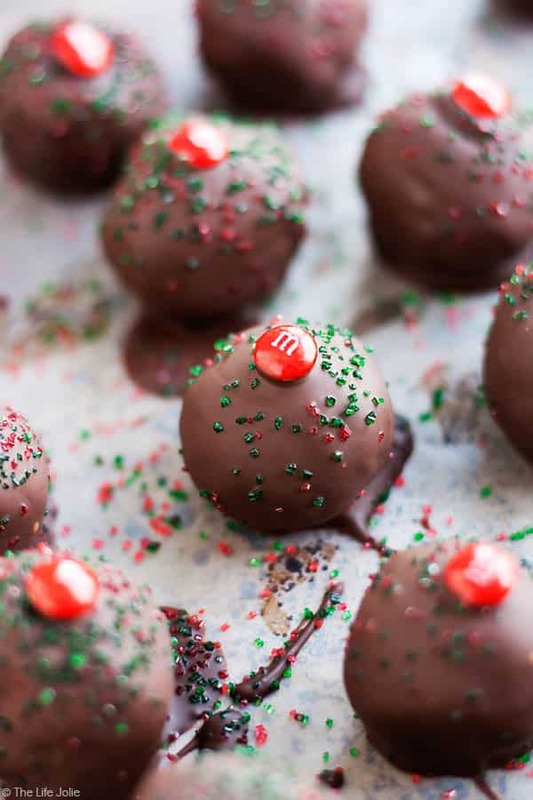 Use a teaspoon to scoop out the dough and gently roll it into one inch balls. 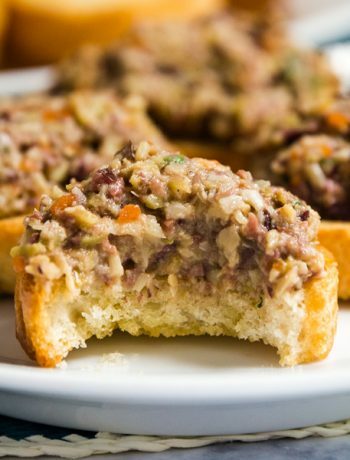 Line the dough balls up on a wax or parchment paper lined pan and place in the freezer for 30 minutes to set. 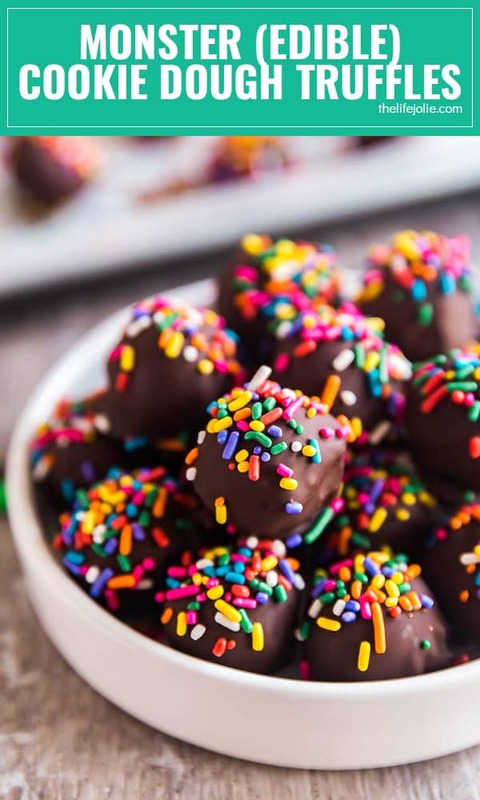 Towards the end of the 30 minutes melt the dark chocolate chips by either using a double boiler or in the microwave with two 30 second increments and then 10 second increments (stirring in between each increment). 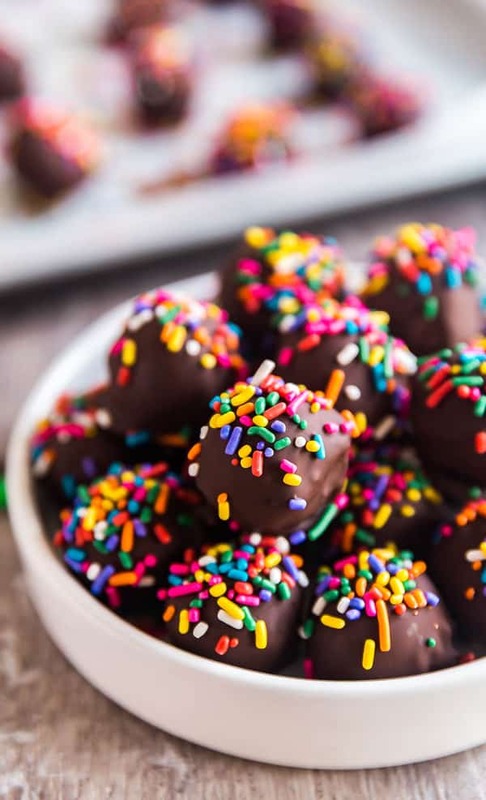 Using a fork, roll each dough ball in the melted chocolate and then pull it up with the fork and lightly tap of the excess. Carefully place the truffle on another pan lined with wax or parchment paper and refrigerate for at least 30 minutes to set. These will last up to a week in the refrigerator in an air tight container. January 19, 2018 at 7:07 pm These. Are. Everything. I mean seriously, does it get any better? I think not. Pinning right now! January 21, 2018 at 10:52 pm Thanks Karly! They were dangerously addictive!